Summary: Physical health is stifled by toxins in the body, the same way spiritual health is stifled by sin. Our physical body is one of our greatest universities of spiritual learning. In it are contained so many principles of righteousness that the earnest student would be kept busy for eternity to try and unravel all the lessons. I know from years of clinical experience that perfect health is dependent upon perfect circulation. Why? Every tissue in the body depends upon the blood to bring it nutrients for building and repairing, and also to remove the toxic buildup from regular daily activities. When the tissues do not receive this life-giving service they become stressed. Toxic wastes accumulate in areas that good, healthy tissue is supposed to occupy. As the tissues become more toxic, due to poor blood supply, even the tissue’s best reproductive attempts can only create new inferior tissue which, over the years, will result in disease. The culprit behind the poor circulation, the chief offender in this physical disaster, is too much fat. In most of the tissues in our body, the blood vessels are so small that the red blood cells can only fit through them single file. Fat causes these cells to stick together and thus block the narrow blood vessels. Fried foods, and in fact any heated oils, have this effect on the red blood cells. Any animal flesh that has been baked, broiled, stewed, steamed or heated in any way enters the body as a blood cell aggregator, causing poor circulation. Milk, butter, eggs, and cheese of any kind have the same effect. Fake vegetarian meat alternatives contain even more tissue-damaging products than just the fats. The way out of this dilemma is to be very careful about what you put into your body because “you are what you eat!” Select cold-pressed oils for your salads and other oil needs but do not heat these oils, or what was designed to be a blessing will become a curse. 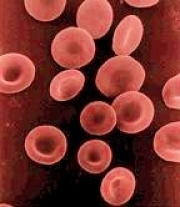 You cannot clean your own blood of accumulated fats. It may sound like a nightmare, but there is really nothing that you can physically do to correct the problem. Can the problem be helped? Yes, but you must get out of the way and do nothing intelligently. Only the body heals the body (with God’s guidance, of course). Humankind can fix anything we have made or replace it with a new one, but we did not make our bodies. God did. Therefore, we cannot fix what we do not know how to make. All that God asks is for us to give our bodies the tools needed to repair themselves. Submit your body to the laws created for our health, and watch it go to work. The body is the only machine that can repair itself. There is another area that can become diseased through poor circulation, and that is our spirituality. Psalm 37:20 tells us that the enemies of the Lord are as the fat of rams. Fat represents wickedness or sinfulness. When we think upon things that lead us away from God, whatever they might be, from anger, revenge, hatred, or sexually impure thoughts, to the desire for earthly power, these thoughts surround the thoughts which are of a holy nature with diseased, spiritual fat and prevent them from flowing freely into the mind. They stifle Christian growth and repair. What can be done? Once again, you must realize that you can do nothing; you are powerless to change your sickened corrupt mind. But do not lose hope, for just as the body only needs you to feed it good things, the mind needs you to fill it with truth. Healthful, raw foods give the body what it needs to create clean blood, and the pure, raw, Word of God enables Christ to clean and repair our minds. Just as clean blood flowing freely through the body enables it to heal and become healthy, so it is with the mind. We need the perfect blood of Jesus Christ to flow to every thought and purpose to clean the spiritual tissues and bring in vital eternal truths. This will empower the mind to work and live for higher and holier purposes; producing healthier marriages, family lives, attitudes, and overall usefulness to the Body of Christ which is His Church. The body is only as healthy as its organs. It is our responsibility to make sure that our bodies are fit and ready for use. For the next six weeks, put the Word of God into your mind for breakfast, lunch, and supper. It is the only food that I prescribe for bedtime! Pray to Him, think on Him, and memorize small portions of Scripture every moment that you can. If you are driving to work, get recordings of the Scriptures being read or sung and listen to these things only. Put in no junk food for the next six weeks. You are spiritually fasting. Read how sin is more than a toxin: it's a disease. If you enjoyed this article, share it with a friend. 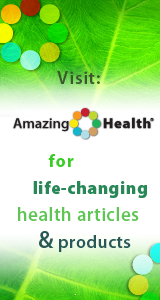 To learn more, check out our media site—Amazing Discoveries™ TV.